Global Pay It Forward Day is April 28, 2019. 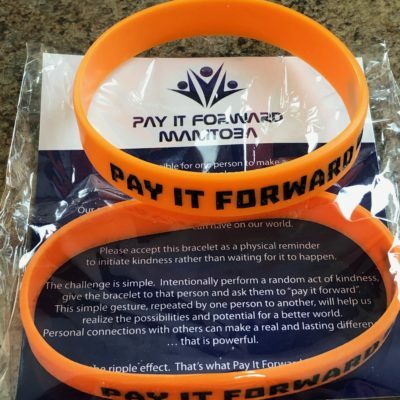 Stay tuned for some cool information about this year’s Pay It Forward Manitoba event!!! Pay It Forward Day is a global initiative that exists to make a difference by creating a huge ripple of kindness felt across the world. I believe it only takes ONE to make a difference… of course one day or one person, multiplied by many creates a huge ripple effect. And the hope is this one day is a powerful reminder to be kind for days to follow.